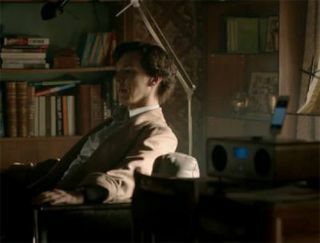 16 of the best AV cameos from the small screen | What Hi-Fi? From the big screen last week to the small screen this week, it's now TV's turn to shine as we take a look at some of the hi-fi and home cinema cameos that have diverted our attention in the middle of our favourite programmes. That's why we don't know who shot JR.
From American drama serials to cult British sitcoms, it seems as if some producers are determined to make sure characters get to enjoy the finest AV kit, from new products to retro classics. We've even seen rumours that Coronation Street's Stan and Hilda Ogden had an LP12 and Celestion SL600 speakers. But we couldn't confirm that, unfortunately. When you have the job of keeping the people of Oxford on the straight and narrow, it's crucial to use your leisure time wisely. Inspector Morse did that with his Roksan Xerxes turntable and, so the legend goes, a Naim amplifier in tow. In updating Sir Arthur Conan Doyle's works for the 21st century, Sherlock Holmes loses the deerstalker and adopts a McIntosh, though not the jacket kind. Here's what we think is an MT-10, MR 88 and MCD1100 – elementary kit, dear Watson. At some point, most of the Friends found themselves out of work. But that doesn't mean compromising on their hi-fi equipment. Case in point? Joey and Chandler's apartment has a fairly serious pair of Martin Logan speakers. Across the hall, meanwhile, Monica and Rachel's home is the setting for another great cameo. No, we're not talking about Brad Pitt (left) – we're actually eyeing up the Bang & Olufsen CD player over there in the corner of the room (you might have to squint). Back this side of the pond, Coupling was labelled as the UK's answer to Friends. That means making sure characters had the kit to match, with Steve opting for what appears to be a TEAC Reference micro system. We make no apologies for the poor picture quality, but we just had to squeeze in what we think is THE best Trigger quote from Only Fools And Horses. We can't tell you what the system is, but the track is Mozart's Concerto No.38 in D-Major. The karaoke version. You've made more money than you'd ever imagined possible, albeit ill-gotten gains. So what do you do? Well, Jesse Pinkman might just have had the right idea – straight off to buy what can only be described as a "b*tchin'" stereo set-up. Ben: "What's your favourite Beatles album?" Alan Partridge: "I'd have to say The Best of the Beatles." WATCH: Alan Partridge – What's Your Favourite Beatles Album? Here's a delicious combination of two British exports combining in a great TV scene as House, M.D. (Hugh Laurie) fires up The Who's Baba O'Riley in a moment of indulgence. With admirable support from an iPod and what looks like a Bose SoundDock. House also owns Dueval speakers and a Sota turntable, as seen in other episodes. WATCH: Baba O'Riley – House, M.D. We've seen law enforcers and medical professionals showing off their turntables, and it seems TV lawyers share that love of vinyl. Only the best will do for Suits' Harvey Procter – a Pro-Ject 3 Genie. And you'll hear no objections from us, m'lud.